We were all taught to listen growing up. One Scrum Master explains why this can be your most effective tool when doing Scrum. I am sharing some things I've learned from a few books I read recently which helped me improve my listening skills. Inspired by one of the tools from the book People Tools, by Alan C. Fox, here is the first Tool/Tactic for Scrum Masters. You can learn: Treat feedback as a gift and explore possibilities with a growth mindset; this leads to agreement, engagement, collaboration and good feelings between two people. You can defend: Becoming defensive to the feedback and trying to explain with a fixed mindset. Our arguments only produce more anger and withdrawal, which may lead to no conversation or one that simply perpetuates the problem. We need a better tool or mechanism, “Nonversation.” Only one of the conversation partner talks turn by turn, and the other just listens. In a Nonversation, I listen, and I say nothing (no cheating by making faces, or looking at your watch, just listen). No answers, no promises, no expectations, just listening. I allow the other person to talk and vent. Sometimes, you can often get your messages across more effectively in a Nonversation than in a conversation. At the very least, your conversation partner will feel heard, which is a great thing in itself. As a lifelong learner, I found that there has never been a downside when I had an intent to learn and there has seldom been an upside of having an intent to defend. As Scrum Masters, we encounter tough, unpleasant conversations from time to time. The key to successfully navigating them is truly listening to what the other person has to say. The second technique I learned after watching Julian Treasure’s TED talk. RASA = "Receive," which means pay attention to the person; "Appreciate," making little noises like “Yeah”, "hmm," "oh," "OK"; "Summarize" — the word "so" is very important in communication; and "Ask," ask questions afterwards. I have found this acronym to be a very powerful tool to practice genuine listening. This is my 2 cents that I picked up from the book, The Business of Listening, by Diana Bonet Romero. What kind of a listener are you? Bored? Conscientious? Distracted? Thoughtful? The first step is to identify your listening attitude. Which attitude persona do you fall into? Unconscious attitudes such as interrupting, getting distracted, jumping into conclusions, daydreaming, or being uninterested are barriers to becoming effective listeners. Check your DQ (Daydream Quotient): We all daydream, many of us almost 50 percent of the time. Try this out, in your next coaching conversation, check your DQ by becoming mindful of how often you get distracted. Ask yourself, 'am I thinking about what I’m going to say next?' If the distraction rate is at least once per minute, chances are you need to practice more self-discipline in your listening. Desire: Listening is not a half-hearted process, it requires commitment, and commitment comes from a desire to listen. Interest: According to the writer G.K. Chesterton, there’s no such thing as an uninteresting topic; there are just uninterested people. 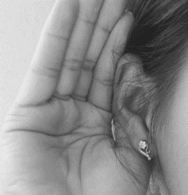 Develop interest to be an effective listener. Self-Discipline: Helps in eliminating distractions and becoming more attentive. Concentration: Concentration is little different than being attentive: you are attentive when you juggle balls, and you concentrate when you juggle eggs. Listening is a gift. As a Scrum Master, this is the best gift you could give to your Scrum team so give it generously. Published at DZone with permission of Nagesh Sharma , DZone MVB. See the original article here.